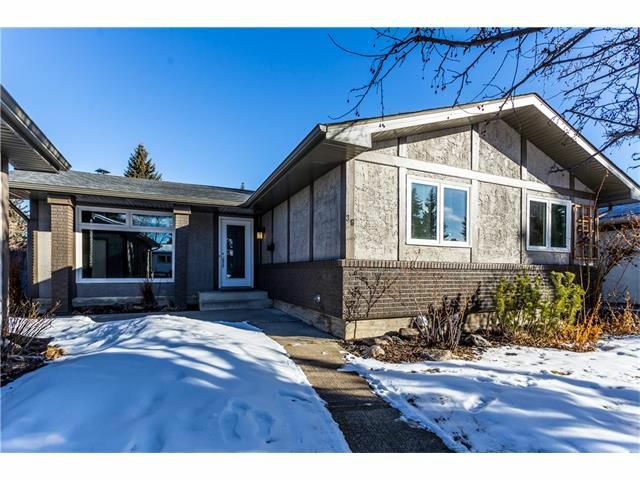 This newly renovated Bungalow in the beautiful community of Oakridge is a must see! Located 3 minutes from Louis Riel Elementary Junior High School, the Southland Leisure Centre, and the South Glenmore Park on the reservoir, this home has easy access to all of the prime amenities. Situated on a quiet cul-de-sac, and in walking distance from numerous transit stops and shopping, this location is the definition of convenience. Main floor upgrades include kitchen with full backsplash, granite counters, and stainless steel appliances, tile flooring, and all new windows. Basement upgrades include all new carpet, rec room, bedroom with walk-in closet, and a stunning modern ensuite. Exterior upgrades include new asphalt shingles, and freshly painted home and garage. The gorgeous fenced-in back yard with large deck allows you to enjoy the sun in peace and quiet. *** PRICE REDUCTION *** With a reduction of nearly $20,000 this home is PRICED TO SELL QUICK.